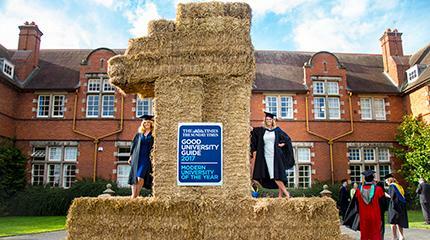 Harper Adams University has made significant advances in the Times and Sunday Times Good University Guide 2016, affirming its position as the top specialist university in the UK. “This is not your typical university experience, then, but in its field – no pun intended – it is pretty hard to beat”, wrote guide editor Alastair McCall, in yesterday’s Sunday Times supplement. Harper Adams was this year’s joint highest climber, leaping 14 places in the new Sunday Times University League Table to 49th, out of 127 UK higher education institutions throughout England, Wales, Scotland and Northern Ireland. The Shropshire University takes second position in the “modern universities” league table: out-performing all bar one of the universities created since 1992, fewer than three years after Harper Adams secured full University title. Harper Adams is also in joint third place in the UK for student experience, with Mr McCall noting that the university has “established a regular place near the top of the National Student Survey (NSS)”. 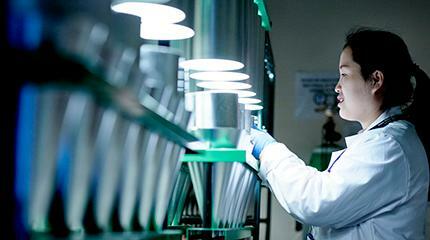 Outlining Harper Adams University’s close links to industry and strength in applied research, Mr McCall explains in the online guide: “Almost every course includes work placements, provided by a network of 500 employers, some of whom also endow student scholarships. “Harper Adams has become new centre of excellence for entomology teaching and research in the UK and has launched the Soil and Water Management Centre, an industry-led initiative to help UK farming make the most of its two most precious assets. 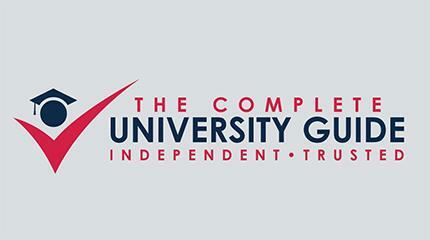 Vice-Chancellor Dr David Llewellyn welcomed the Good University Guide, saying: “We are delighted to have been ranked as the UK’s top specialist university, reflecting our strong performance in the University Guide's assessment of the quality of our teaching and the experience we provide for our students. It follows hot on the heels of the 5th place we achieved in the National Student Survey and several recent awards for the provision of an outstanding student experience and student support. Future students are welcome to learn first-hand why Harper Adams is one of country’s best universities by visiting the campus for an open day tomorrow (September 22) or on October 11 or November 15.